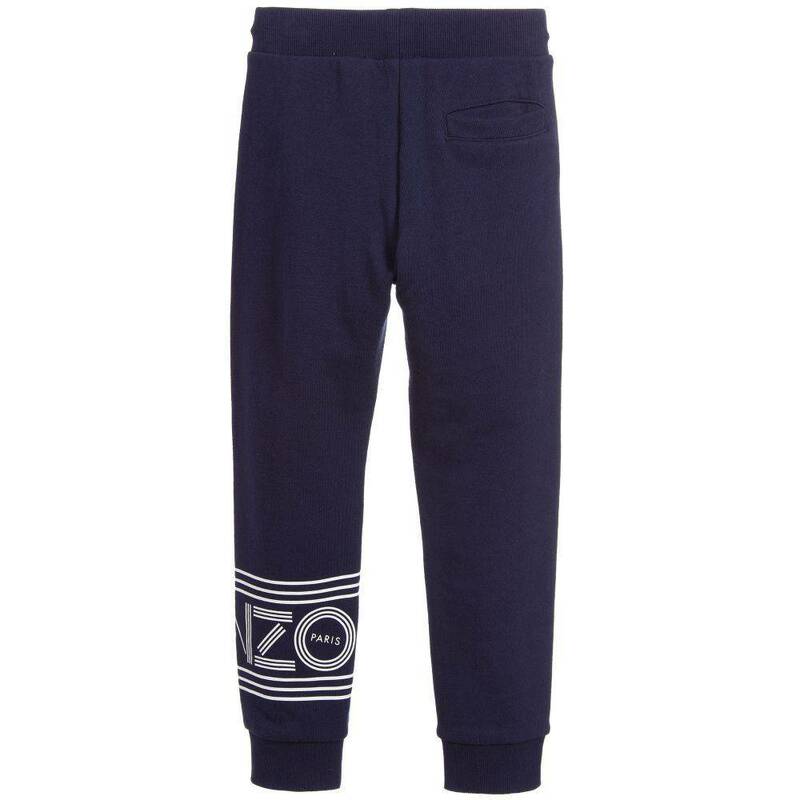 Navy blue joggers for boys by Kenzo Kids. 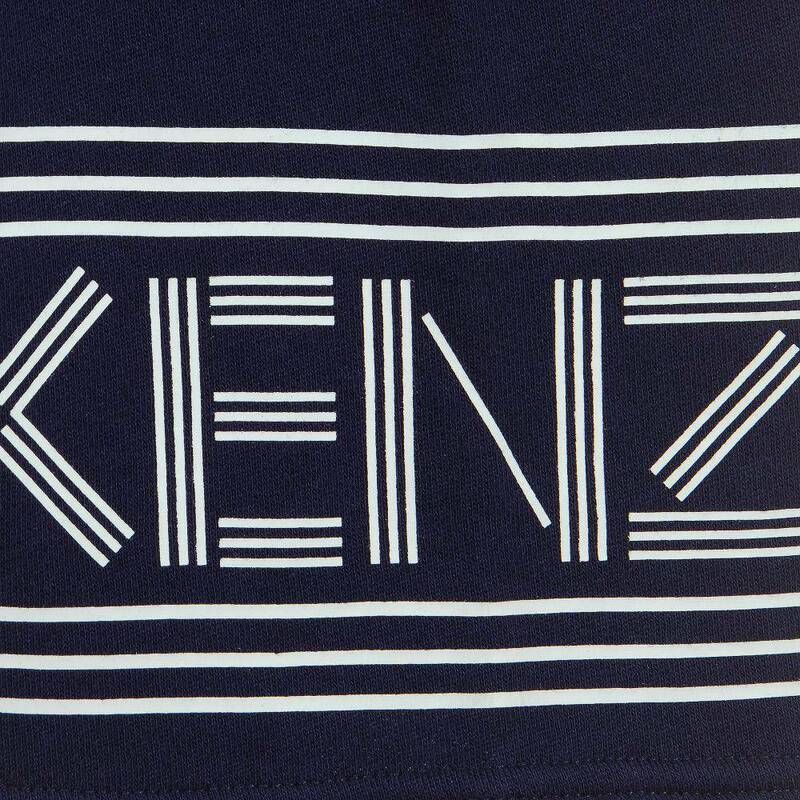 Made from soft cotton jersey, in a comfortable loose shape. 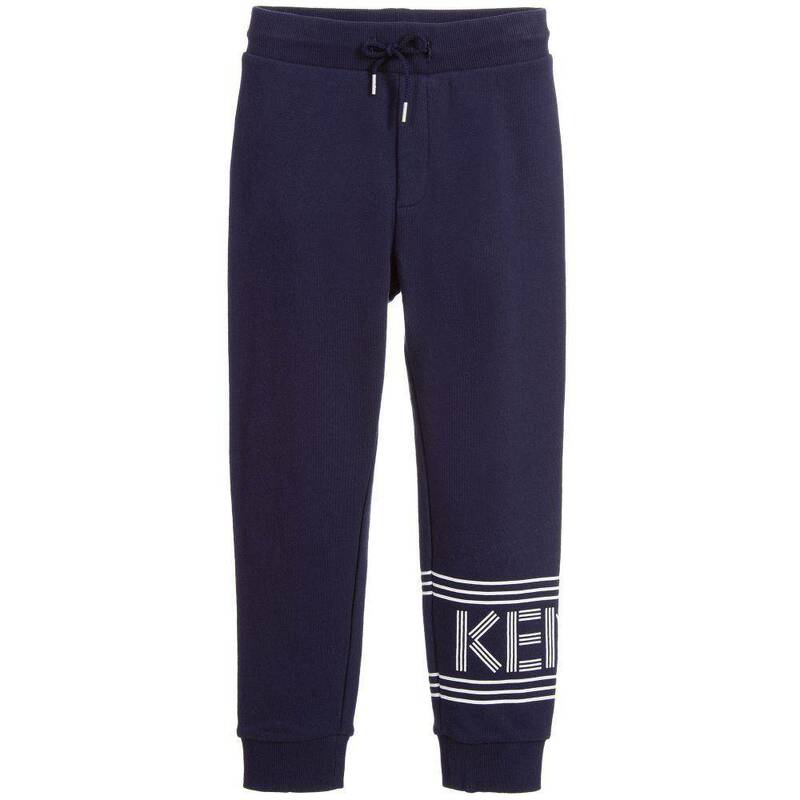 They have an elasticated drawstring waist, with a white logo print on one leg.